Not many people know that my first "real" job out of college was at a cookie bakery. So obviously National Chocolate Chip Cookie Day, which is this Thursday, May 15th, is a holiday that resonates with me. Okay, fine, it would have been a great holiday to celebrate even before I was a professional cookie baker. I love me some chocolate chip cookies. Mrs. Field's was my entree into gourmet cookies as a kid and I love that they helped pioneer the cookie "cake." 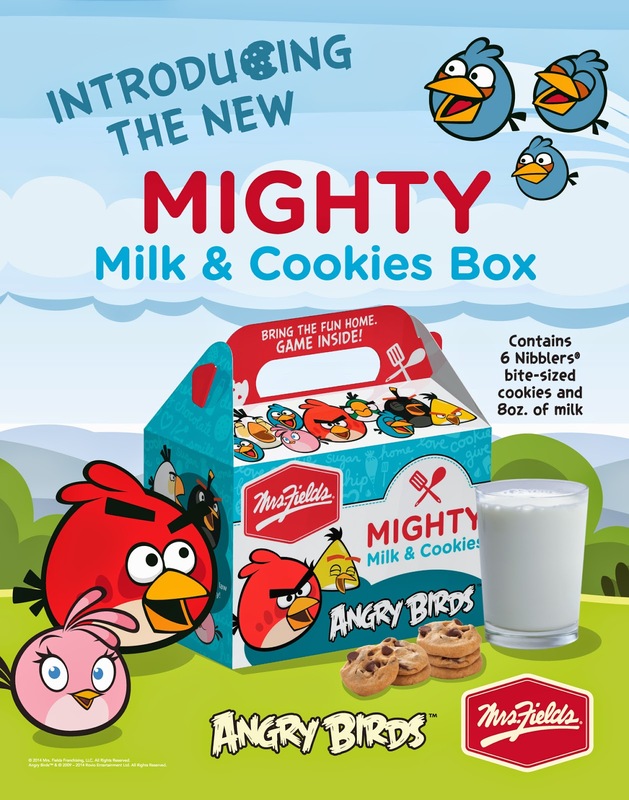 How much would your little people love to see their Angry Bird version? 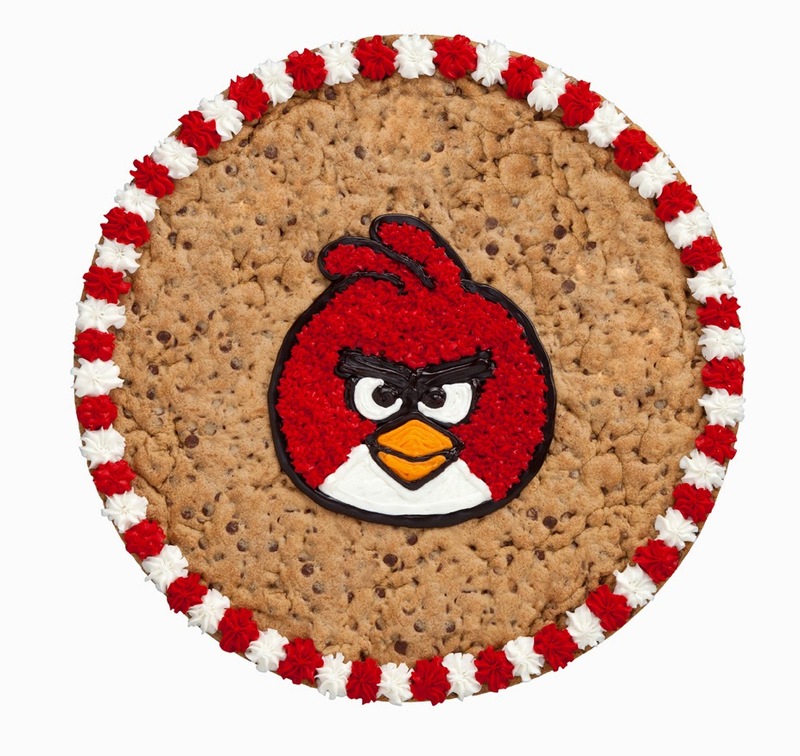 The beloved cookie makers recently partnered with Rovio Entertainment to offer party size cookie cakes and very kid-friendly Angry Birds cookie boxes - perfect for an after school treat. Oh, the cuteness! I would have to say they look mighty mom-friendly, too. As a sweet treat for National Chocolate Chip Cookie Day, Mrs. Fields is offering 20% off (valid May 15-20) with the promo code NCCCD. There's your excuse, people.